‘a leprous prince whose cure required a bath in human blood, and there being no blood purer than that of children, these were seized so as to be bled from all their limbs’. And some said this prince was in fact their King. 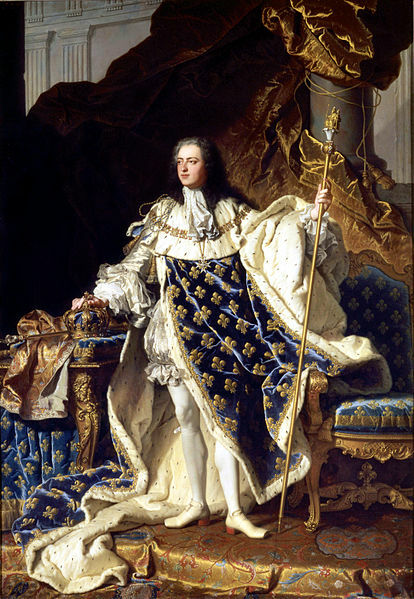 ‘The wicked people … are calling me a Herod,’ whined Louis XV, the so-called ‘Well-Beloved’ whose popularity was rapidly dwindling. But with no official explanation forthcoming, the panic continued to mount. School-masters placed posters on walls warning parents ‘not to allow their children to go to school alone but to accompany them and collect them for we can take no responsibility for the consequences.’ Parisian glazier Jacques-Louis Ménétra later remembered being met from his primary school by his father, along with ‘seven strong cooper lads each carrying a crowbar over his shoulder’. On 22 May, street-fighting broke out in six different quarters of Paris. Crowds numbering four of five thousand people, women prominent among them, broke windows, forced down doors, stoned public buildings and looted shops for weapons with which to fight. 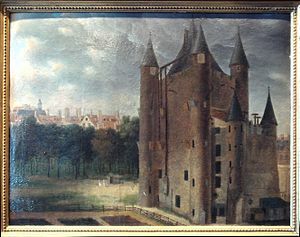 The revolt flared up again, stronger, the following day after a constable called Labbé was seen trying to grab an eleven-year old boy from the Pont Marie. A crowd rushed to the scene, liberated the boy, then chased Labbé through the city. Despite the intervention of the Watch and exchange of gunfire, the furious crowd managed to drag Labbé away from his guards and beat him to death in the street. He was not the only casualty. Over the course of the revolt, at least twenty rioters were killed, and an unknown number injured on both sides. An official inquiry was instigated. The police, speculating wildly, blamed the riots on a variety of sources: organised criminals, bands of disreputables, mysterious men in black who mingled with the crowds and whipped up trouble. Berryer was the man in charge of enforcing the edict and he wanted instant, tangible results. Rather than pay his officers a flat rate, he decided to reward them according to the number of arrests they made. He also ordered that those arrested be taken immediately to prison, without first going to the commissioner, and he sanctioned the arrest of ‘all children of workers and bourgeois alike caught gambling in the squares and market places along with other little rascals and vagabonds’. This was why not just ‘vagabonds’, but the sons and daughters of tradespeople running errands, and children playing in the street, had been carted off in shuttered carriages and left in Paris’ bleak houses of detention until their parents could find them and pay for them to be released. The inquiry sentenced three constables to a symbolic punishment, but Berryer himself was never explicitly criticised. The real role of the inquiry was not to investigate the causes of the vanishings, but to punish insurrection against authority. 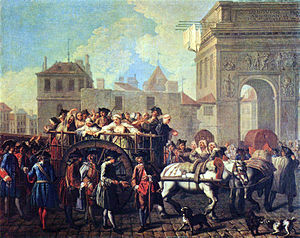 Three young rioters were condemned to the gallows, the youngest only sixteen years old. At the hour of their execution, the crowd rose up again to try to save the condemned men, but they were pushed back. The people dispersed, but they did not forget. And their discontent crystallised on the figure of Louis XV. This, it was said, was the summer when it was discovered that the people of France no longer loved their King. The Vanishing Children of Paris: Rumour and Politics before the French Revolution, by Arlette Farge, Jacques Revel, Claudia Mieville. Fragile Lives: Violence, Power and Solidarity in Eighteenth-century Paris, by Arlette Farge. I knew nothing about this. Fascinating blog and thank you for teaching me something. Fascinating and horrific! Sounds like South America today..